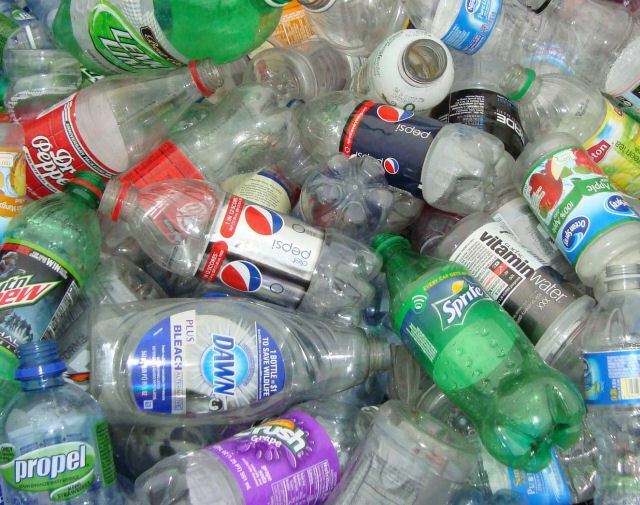 One of the earliest recycling innovations is carpeting made from recycled plastic bottles. 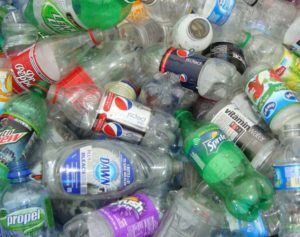 Growth has been substantial and today a company like Mohawk Flooring is processing over 8 million bottles each day provided by recycling facilities all over the U.S. Arriving in bales at the manufacturing plant, the bottles are separated into clear and color batches. Without this kind of separation all the resulting carpets would be colored green. Slicing and dicing the bottles is the next step. This process is so mechanically thoroughgoing that the result is a blend of powdered flakes. During a washing process any bottle caps in the batch will rise to the top. These caps are later used to create the carpet cores. The finished carpets will be coiled around these cores. The clean flakes are now heated to a temperature of 500 degrees and melted into a viscous liquid. Subsequently, this liquid is passed through an array of spinnerets, each with 1200 holes, that essentially turns the PET bottle flakes into very thin strands. Next, these thin stranded fibers begin a process of cooling and lengthening and are finally entwined into a carpeting quality material. The product is now baled and shipped to another manufacturing plant that specializes in turning this material into yarn. Carpeting made from recycled plastic bottles is almost complete when the plastic has become yarn. Using the most sophisticated machinery, the carpets are woven at a rate of 18 stitches per second. Lastly, after selecting a dye for a chosen coloring, the carpet is ready for the showroom. 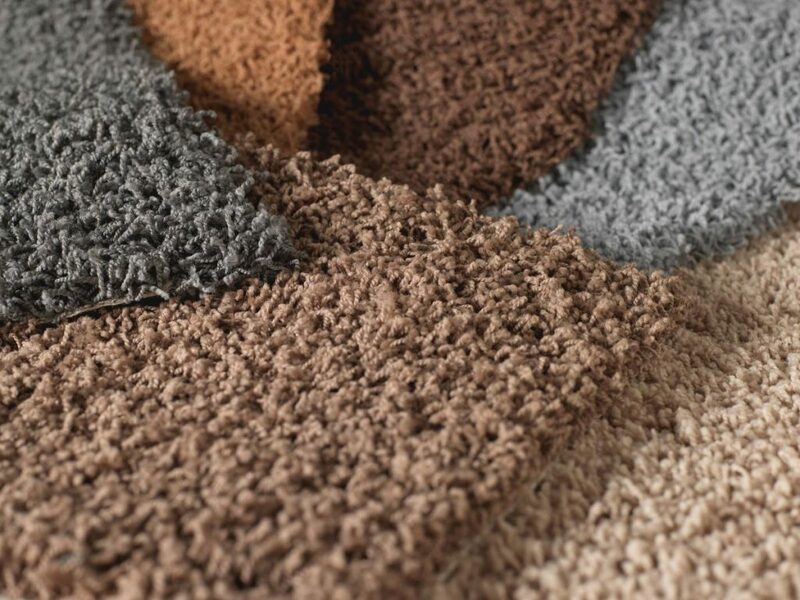 Carpets made from recycled plastic are virtually indistinguishable from carpets made from other materials. In fact, plastic carpeting fibers often are usually less expensive and are more stain-resistant and color-fast than materials like wool. There’s more good news. Your old carpeting made from recycled plastic bottles can also be recycled. Sites like The Carpet America Recovery Effort in California offer solutions for the recycling and reuse of post-consumer carpeting. Check for similar resources in your area.